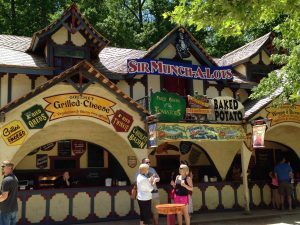 The Georgia Renaissance Festival is a 16th century England Renaissance Festival that is only open for EIGHT short weekends in the spring. 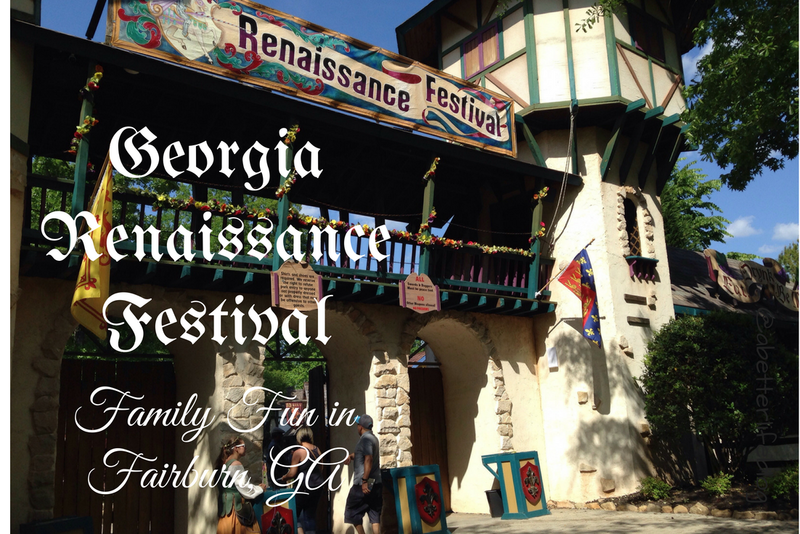 The 33rd Annual Georgia Renaissance Festival is a family-friendly event, and a different kind of theme park. Inside this 32-acre recreation of a 16th Century English Village you'll find hundreds of costumed characters, the Queen and her Court, endless circus-style entertainment on 10 stages, shopping in over 130 artisan shoppes, food fit for Royalty, games and rides for kids of all ages, and the spectacular Jousting Knights on horseback. Patrons are invited to wear costumes and join in the fun too. It's a whole lotta' fun, and a little bit of History, every weekend and Memorial Day, April 14 thru June 3, 2018. 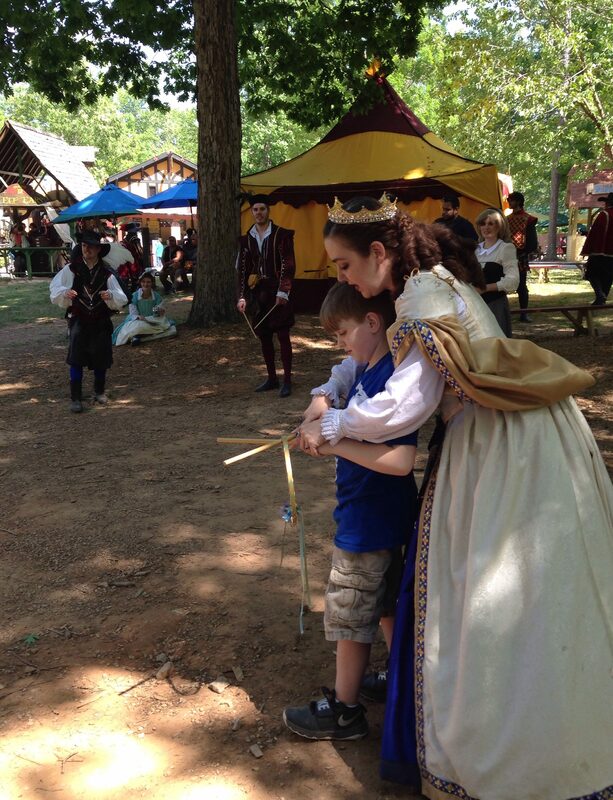 And be sure to check out my post of important tips you need to know before visiting the Georgia Renaissance Festival! So here's the happenings at the 2018 Georgia Renaissance Festival. The Georgia Renaissance Festival whisks you back to early 1500s England, to the (fictional) village of Newcastle, a time when Henry VIII was still a young king and Catherine of Aragon was still his queen. We went last year also but it's nearly impossible to do everything in one day so we made note of our favorites from last year and planned to catch some new things this year. Plus, we were pleasantly surprised to see that there were some new shows this year also! 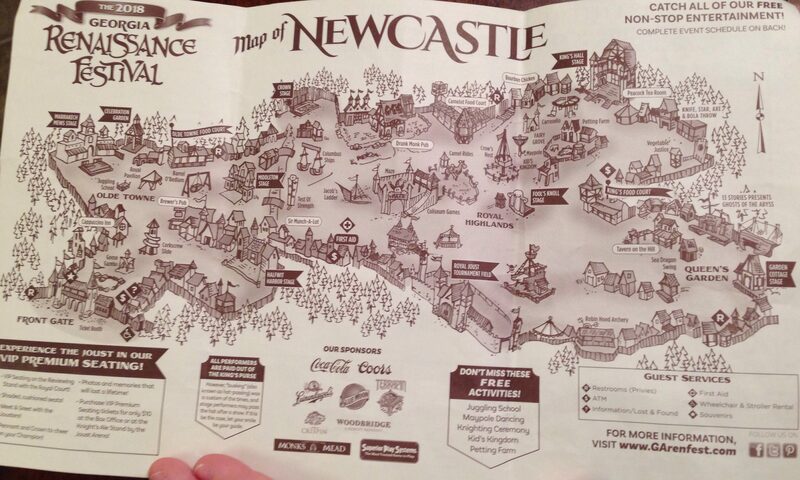 Be sure to grab a map! It's invaluable during your journey. And there is a handy times guide on the back of it so you know which shows are where at what time. There is plenty of included fun to be had inside the village walls. The shows are included. 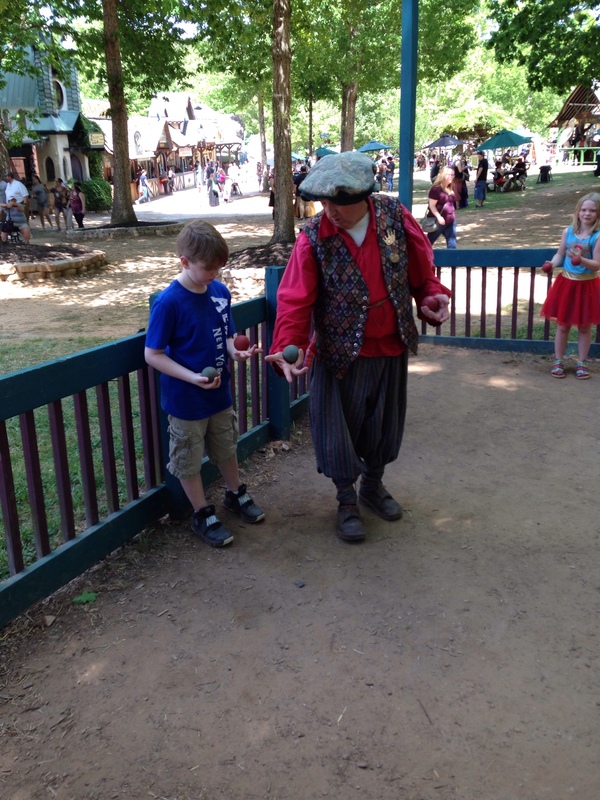 The juggling lessons are free. There is a nice playground area for the kiddos. But there ARE things that cost extra. You can see a full list here. Prices are $2-$5 per person per attraction. My tip for this is see everything first and then decide what you want to pay for. I gave G $20 to spend on attractions. But I didn't let him just do everything he saw as we came to it or he would've burned through $20 before we made it to the middle of town. He took juggling lessons again, which are free. There are plenty of vendors selling all kinds of things from incense and bath salts to costumes and weapons. 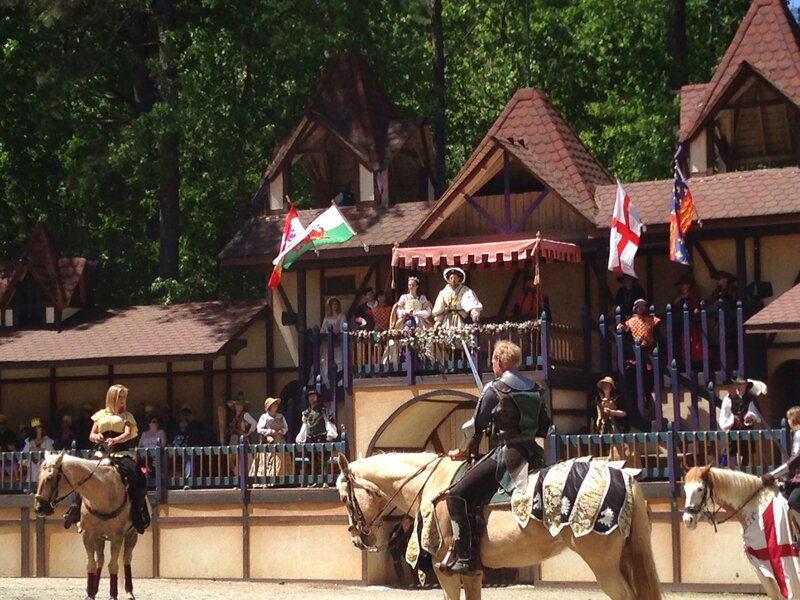 There are 3 jousting times - check the times on your times guide! Do NOT miss the joust! Arrive early to get a good seat. There's really not a bad seat. But little ones might like to sit close to the front. 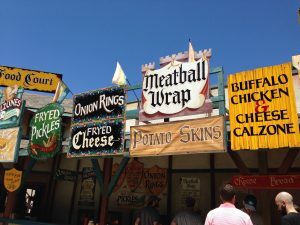 Might be a good time to grab some lunch or a treat and head over and snack on your food-on-a-stick while you wait for the joust to begin. We actually saw TWO of the jousts this time. I really don't think you can watch jousting too many times. King Henry VIII and Queen Catherine presided over the joust. Yes, this was during Henry's pre-Anne Boleyn days. This pair was quite delightful. We actually got to spend some time around the King and Queen and, wow, do they not break character. He was a great Henry VIII and she was a delightful Queen. So much fun. They were playing a medieval game called "Graces" with some of their royal friends (official festival characters and guests dressed up) and G got to join in! Queen Catherine taught him to play and King Henry was quite impressed at how quickly he picked up on the game and how skilled he proved to be! Ok, so I know you're thinking, sure, all this is great... BUT WHAT ABOUT THE FOOD? Ok, food tips coming now. There are several food stands and they all have different food. So just like the rides and games - walk around and see what there is before you start buying food - unless you have deep pockets and a realllly big appetite. Most food items were $3-$5 each. Except Steak on a Stake, it was $8. Be prepared to stand in multiple food lines. Even if the food you're getting comes from the same food court area (there are four total food stand areas), you might have to stand in more than one line. Generally wherever the sign for the food you want is, that's where you pay for and pick up that item. So if you want something else a few signs down the counter, you might have to stand in a second line. Especially if it's busy. 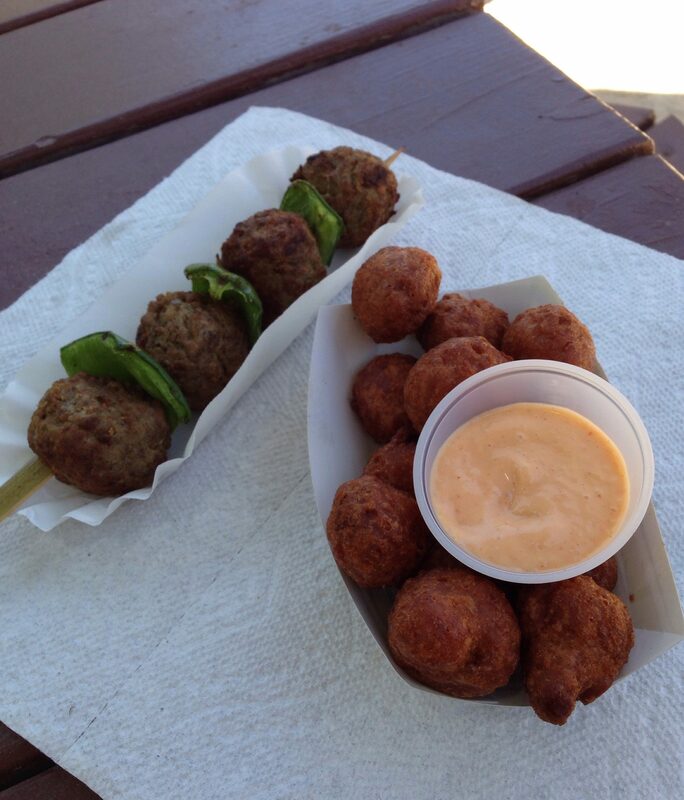 Meatballs on a stick and fried mushrooms were a delicious midday meal! I did not manage to get a picture of dessert. Dessert was an Oreo ice cream bar hand-dipped in chocolate. We also snacked on pretzels and lemonade later in the day. The meatball wrap is pretty good. I don't know what else to tell you because I could sit here all night and tell you about more of it. But the important thing to know is that the festival is HISTORY on June 3, 2018! 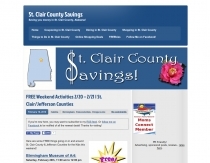 It's open Saturdays, Sundays and Memorial Day. 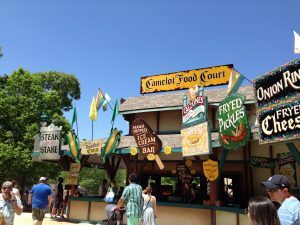 And if you decide to go, you can check out some really important tips you need to know before visiting the Georgia Renaissance Festival here.